Kentucky Bluegrassers NewTown are enjoying a busy week as their new CD, HARLAN ROAD, hits stores Friday, July 8, and the IBMA Emerging Artist candidate for nomination headlines the popular Busy Bird Festival on July 9. The disc's title track premiered on Bluegrass Today last month to rave reviews. John Lawless of Bluegrass Today calls their sound "hard-edged contemporary Bluegrass, modern yet still representing the traditions of their Kentucky roots." Rick Moore of Music News Austin notes the disc's "excellent singing and playing drive home the authenticity of the lyrics to some fine story songs." Produced by multi-Grammy Award winner Barry Bales, the 11-track outing is on the Mountain Home Music Company label. Filled with tales of the "everyman," HARLAN ROAD is available for pre-order now on iTunes and includes three instant downloads upon purchase. 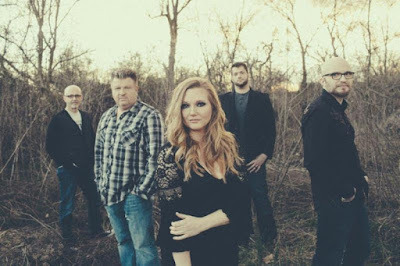 The Lexington-based band is fronted by award-winning fiddler Kati Penn and her husband, Jr. Williams, a respected banjo player; both mesmerizing vocalists. The disc "covers all the hoped-for territory while also expanding all expectations," writes Greg Victor for ParcBench.com. Syndicated UK radio host Bryan Chalker adds, "This is a masterful exercise in progressive Bluegrass that retains the very essence of the genre."